Based on their play at the European Curling Championships held in Moscow in December, the Czech Republic will send their nation’s best women’s curling team to Lethbridge and the 2012 Ford World Women’s Curling Championship. In Moscow, the Czech team, skipped by Linda Klimova, finished round robin play in eighth place in “A” Group and consequently faced a challenge from “B” Group winning Hungary for the right to travel to this year’s world shootout. The Czechs prevailed in the challenge games and punched their ticket to Alberta’s South-Central city. Klimova will once again be calling the shots for her national championship winning team of Kamila Mosova, Lenka Cernovska and Katerina Urbanova when the Czechs face off against Korea in first-round play on Saturday, March 17 at the ENMAX Centre. 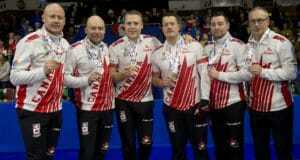 This young foursome, out of Prague’s Curling Club Dion, will be tested by the level of competition in Lethbridge. Klimova, a twenty-three year old student, will be making her debut at the world women’s event, but Cernovska and Urbanova have been before. 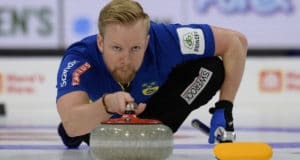 They teamed as the top end of the Czech Republic entry that went winless in Vernon, British Columbia, when that city hosted the Ford World Women’s Curling Championship in 2008. It wasn’t until 2007 that the Czech Republic first appeared on the women’s scene in world competition. Three different skips have totalled a collective record of 4 wins and 29 losses in the nation’s three previous visits to the ultimate showcase for top-flight women’s curling. While this squad will be gunning toward a winning record in Lethbridge, their top priority will be looking to gain valuable experience from their trip to Canada. With Klimova leading the way, Mosova, a twenty-five-year-old student, Cernovska, a twenty-six-year-old social worker and Urbanova, a twenty-seven-year-old credit manager, all have their best years in front of them.